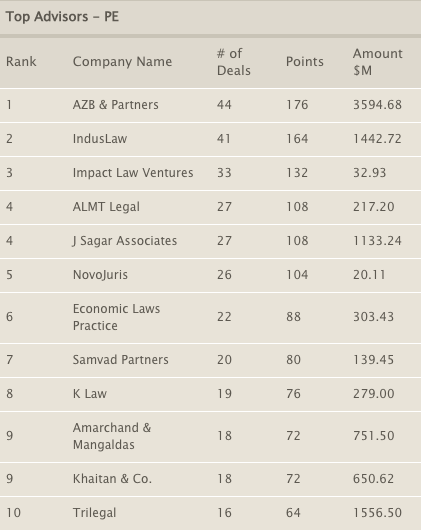 For the year 2014, Venture Intelligence ranks NovoJuris as India’s fifth most active legal counselors in Private Equity. Many thanks from the NovoJuris Team, it wouldn’t have been possible without you! This entry was posted in Articles and tagged Law firms, league tables, legal consultancy, legal consultants, legal counselors, Private Equity, venture intelligence on February 13, 2015 by novojuris.